When Linda Ohama arrived in Onomichi on Children’s Day in May, 1999, camera crew in tow, she was looking for footage for her film, Obaachan’s Garden. What she found went much deeper. Onomichi quickly became her second home, a place she could reconnect to her Japanese roots and delve deeply into her art. 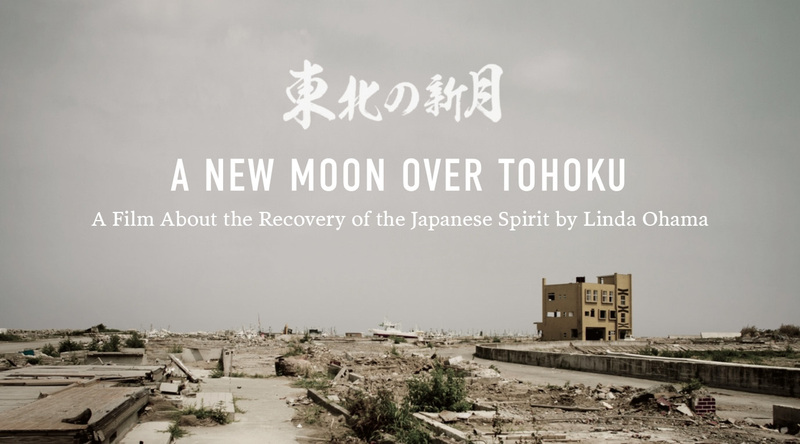 When the shattering magnitude-9 earthquake and tsunami hit the Tohoku region in March 2011, unleashing a nuclear disaster and claiming over 17,000 lives, Linda was back in Vancouver, but she felt the reverberations deep in her bones. After spearheading a very successful fundraising effort in Vancouver, she headed back to Japan to see how she could help. What she found was a scene of devastation so complete that it shook her beyond belief. Thus began a two-and-half-year odyssey to document the lives of the survivors, hundreds of thousands who were left homeless. Working on a shoestring budget, funded primarily by fees from lectures and seminars at universities across Japan who knew that she needed to earn money to cover her meagre living expenses, she set out alone with a camera in hand. With no crew and no budget, she learned to do a lot with very little. She estimates that she spent a total of five nights in a hotel over the two-and-a-half years she spent filming. The rest of the nights were spent on a futon in someone’s house or kasetsu, in a car, or in her small pup tent when there was nothing else. A low-point was sleeping in a kitchen sink for a month and she had no heat or refrigeration for months. The outside mailbox served as her fridge and everything froze half the time. Once the filming was complete, Linda returned to Vancouver to edit the footage, a process that took two years. Over the course of six months, Linda and five volunteer Japanese translators in Vancouver helped to translate and transcribe every word of every interview. The editing was done in the basement of her daughter’s house, using an editing suite a generous person in the film industry donated and set up as his way of supporting the work. All post production was done in Vancouver except when Linda travelled back to Japan to record music and voices, with actress Tamiyo Kusakari of Shall We Dance fame providing the narration. When Tohoku no Shingetsu: A New Moon Over Tohoku has its premiere at the Vancouver International Film Festival it will complete the circle that began 17 years ago. Venues TBA. Subject to change. Describe what it was like visiting the region for the first time after the devastation. The moment I arrived in Tohoku on June, 2011 and saw the ruins of a village for the very first time, I was more than totally shocked. It’s hard to put into words those emotions. I was so unprepared for the stark reality and scale of the damage. It was nothing like you saw on TV, or on your computer screen. The shear magnitude of the destruction of one village, to the next town, to another village, and another town continuously from southern Fukushima province, through the Miyagi coastline, all the way up north past Otsuchi is unimaginable. Nothing I had seen in the media came close to making me realize the scale of this loss. With wreckage strewn everywhere, the remains of people’s lives you never knew but still could feel in all their fragments were the ghosts of the spirits surrounding you. I knew very soon after arriving and getting involved with communities that I couldn’t just leave in a few days, few weeks or even a few months. If you were driving down a highway and saw a big accident, people in shock and waving you down crying out for help, most people would stop to help, call 911, whatever. Once you look in their eyes and pain, it’s hard to get back in your car and drive back to the safety of your home. This is probably the reason why I stayed with the Tohoku people for over two-and-a-half years and more if you count the time I was with them in the editing of A New Moon Over Tohoku. Was there a moment that you knew that you had to make this film? During the first months as a volunteer and doing the kids cloth letters, so many people asked me, even begged me on their knees, to make a film for their voices. But, as a foreigner and someone who’d never been to Tohoku before, I felt I didn’t have the right to do this. It was something that a Tohoku, or Japanese filmmaker could do better. BUT, this changed the day I went into the contaminated ‘no-go zone’ a few kilometers from the Fukushima Daiichi Nuclear Power Plant with a local person who thought I should see what was left there. Walking down the main street of one of these ‘ghost towns’, I cannot describe the eerie, sad feeling to be surrounded by a normal looking town emptied of all human life. The place is dead quiet except for a few birds and the wind. It was like something out of a science fiction movie, except very real and something we are all responsible for in some way. It was here on that deserted street that I decided as a filmmaker, I had a responsibility to try and help the Tohoku people as a filmmaker. It seemed the best way to volunteer at this point, using my skills as the artist/filmmaker to try and help them. I took my first footage on that street with my small Nikon camera which is very rough, but I used it in A New Moon Over Tohoku. That’s how this film started. I’ve been able to keep the energy going because of the great support and help of so many incredible people in Tohoku, in Japan and in Vancouver. As a documentary filmmaker, you’re talking to people, recording their stories. Is there any one person or story that had the most impact on you? The grandmas and grandpas I met. The mothers and dads, husbands and wives. The young people and children. They all sum up the film for me. I interviewed repeatedly over a span of two-and-half-years over 80 people with hundreds of hours of interview footage and only a hand full of Tohoku people are actually seen in A New Moon Over Tohoku. It’s not because one story or person is stronger than others, but because I don’t have the ability to weave all those together into one film. It broke my heart every time I had to decide to drop a character during the editing. It was such a hard and stressful thing to do. Did you set out knowing the story you were going to tell, or did it emerge organically as you began filming? No. I absolutely had no inkling of what the story would be. I’m not a great thinker, just a person who followed my instincts and I have a lot of trust in life. Maybe I’m a little lucky too, at times. What do you hope that people take away from seeing this film? I am not sure what people will take from this film. Hopefully to feel what the Tohoku people and their special culture are. Perhaps learn a bit more about the Japanese character and traditions. And a little more about living, dying and being human. Do you think it gave you an advantage as an outsider, coming in talking to the survivors? When I look back at this project, I realize that probably it helped that I was a foreigner, a woman, a mother, a grandmother myself and someone with a Japanese heritage background who didn’t speak Japanese very well. All these things made people welcome me into their lives and feel more comfortable in opening their hearts. And I think filming singlehandedly for the bulk of the two-and-a-half years was less intimidating for people and made them feel more relaxed. I could see a change in their mannerisms and speaking when I had other people with me. Has it changed you, making this film? Yes. Definitely. But I don’t know how to describe it at this moment. No doubt it will show in my new works. What is the region like now, five years after the devastation – is there a hope for a return to “normal” whatever that means? “Hope to return to normal life?” I am sure that your words have probably been on their minds and in their hearts since March 11, 2011 – over five years! For a lot of people, that’s a long time to keep hoping. The answer about what it is like today, depends on where in Tohoku you are talking about. For example, most of the people from A New Moon Over Tohoku still live in the confined living spaces of temporary shelter homes, kasetsu. 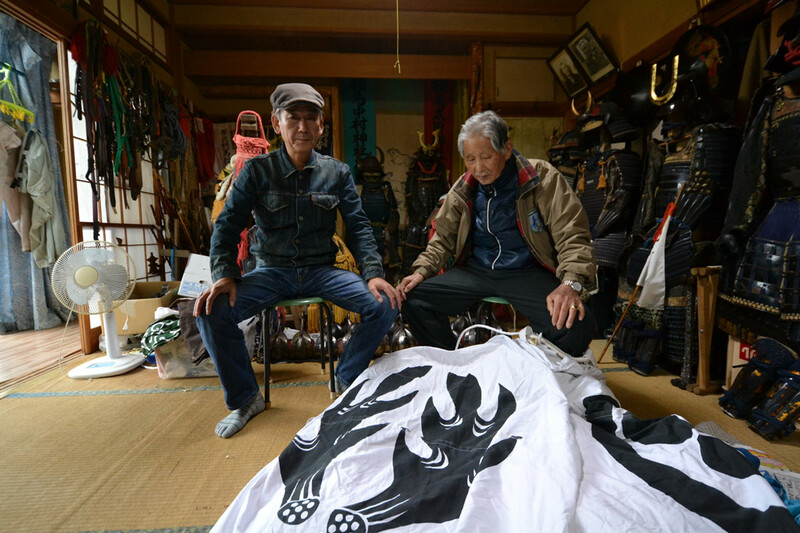 Two of the survivors of the disaster that appear in the film will be coming to Vancouver for the VIFF screenings. It is a good chance for people to hear firsthand to ask what their lives are like today. Normal? I would say not. As more years pass, middle-aged people will be old, more grandpas and grandmas will die, and the children will be adults. This is life for anyone in this world. The difference is to go through life feeling the loss and holding onto a dream. Japan will host the 2020 Summer Olympics. This makes things in Tohoku better and harder, depending on where you live and what you need. There is pressing need to make Japan, including Tohoku, shine when the world focuses on the country in 2020. So, maybe this speeds up some physical recovery. But in outlying parts of Tohoku like Otsuchi, Iwate ken, many construction companies have left for greener pastures to get a piece of the Olympics. Is there anything we, as Canadians, can learn from what the people of Tohoku went through? Probably any region prone to earthquakes or disasters, should be more prepared and educated. Perhaps the 2011 Tohoku disaster has helped the world to do this more. 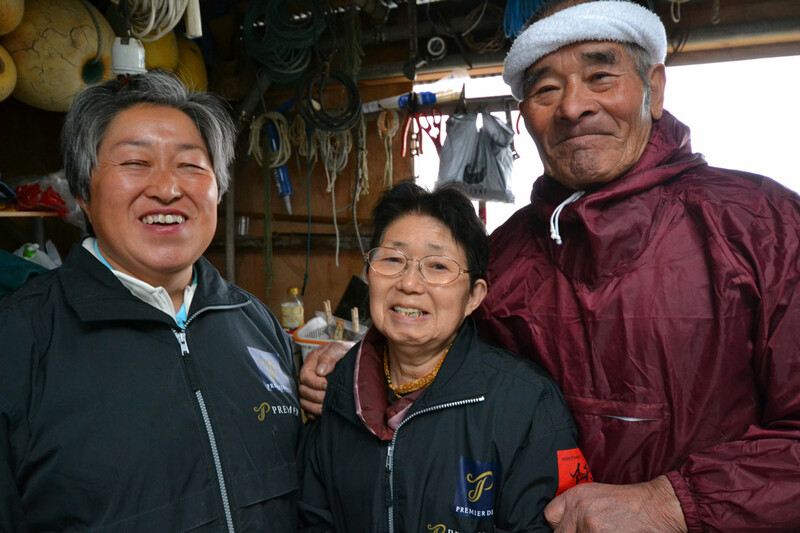 Profoundly, Tohoku people can show us what are the important things in life and in living. Have people in Japan seen the film? I wanted to take the film back to the people who it is about, to see if it was okay before releasing it. So people back in Tohoku have seen the completed film. in December 2015, we had a sneak preview of the work in progress for invited guests at the Canadian Embassy theatre. But it was still in the finishing editing stage.. Overwhelmingly grateful and moved. I can’t really explain except that the crying and laughter in the theatre from the Tohoku audiences and their comments afterwards was so rewarding to feel. My mother’s family is from Miyagi, but I have never been there, and she never got to see it either – can you describe the area for me? Miyagi has beautiful mountains, the Sendai City (the city of trees) and a long coastline that has sandy beaches, rocky shorelines,very delicious fish, good wakame and konbu, one nuclear plant at Onagawa, the famous Mastushima islands of pine that famous poets like Basho wrote about. It’s very hot and humid in summer, but they get lots of snow and it’s freezing cold in winter. You should visit Miyagi one day.